Here are the instructions to create a Reset Button for your RaspberryPi Rev.1 which can also ‘wake’ the RPi from halt/shutdown state. While on the new RaspberryPi Rev.2 is present a new set of pin called P6 header that provide a way to implement a reset switch, there is NO such option on the Rev. 1 boards (256MB RAM version released before Sept. 2012), therefore we will have to use the standard GPIO (P1 header) to create our reset button. Connect the the two pin cables to the button. Every time you push the button it will create a short between the 5V and the Ground pins of the GPIO and that will cause an hard-reset of the RPi so avoid doing so when the system is running and you can shut it down in a cleaner way. In case the RPi is shut-down this button will work as a Power-On/Wake switch. 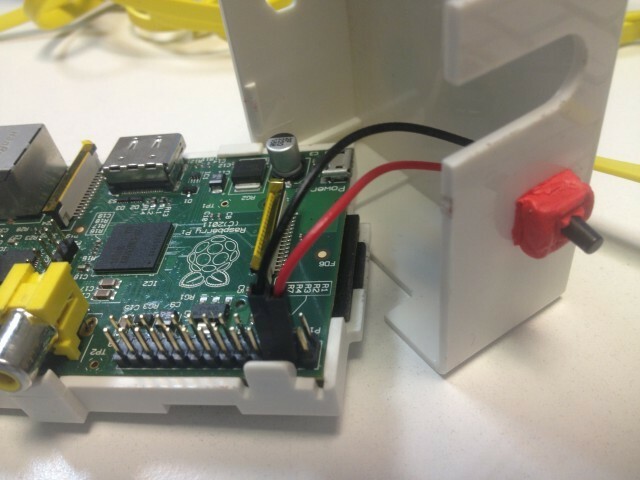 This entry was posted on Wednesday, May 22nd, 2013 at 17:08 and is filed under How-To, IT, RaspberryPi. You can follow any responses to this entry through the RSS 2.0 feed. You can leave a response, or trackback from your own site. THIS IS A VERY DANGEROUS WAY TO SHUT DOWN A PI!!! IT COULD FRY THE PI!!!! !